Third ANGT qualification tournament of the season has been played from 25th until 27th January in Munich, Germany. Real Madrid led by MVP of the tournament- Usman Garuba booked its place on ANGT final8 tournament after beating Maccabi Tel Aviv in the final game. Only Serbian team that participated on the tournament was Partizan Belgrade, which took 7th place with only one win in three days. Beside players from Partizan, four other players from Serbia played on this tournament: Mario Nakić, Filip Škobalj, Vuk Radojičić and Lazar Šćekić. This was his third ANGT tournament, but first one with a major role on the court. Tanaskovic was the best and the most constant player from Serbian team on the tournament. 6’9 big averaged 16.8ppg (3rd scorer of the tournament), 11.3rpg (the best rebounder) and 2.5bpg(2nd best blocker), which was enough to get a place in All Tournament team. 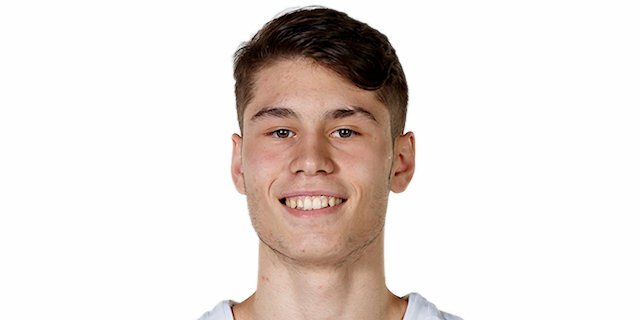 He continued with good games he had in first part of the season in both U19 and KLS league, and also in L’ Hospitalet tournament during first week of January. Played all 4 games on high level and proved himself again as one of the top bigs in his generation. Well sized C showed his presence in the paint on both ends, offensively nice mixture of length, post skillset and soft touch around the rim makes him tough to be guarded. Good position maker, uses footwork well and adapts body so he can score immediately down low off the catch. Defensively, showed good shot blocking abilities and timing, still can’t switch with guards, lacks of lateral speed. 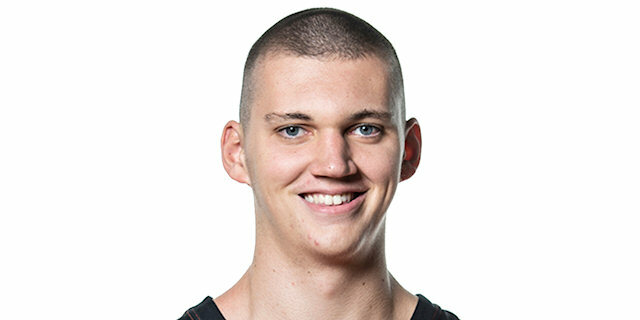 Very active on rebounding part, both in offense in defense, scored couple of tip ins after rebounds, goes for every ball in the air, regardless lack of athletic abilities, which is his biggest issue at the moment. Has to work on quickness, mobility and athleticism overall. Few months of senior basketball experience helped him a lot, body is getting stronger and tougher, but still had troubles when guarded by stronger big. Couldn’t back them up inside, so he was forced to take difficult hooks and fadeaway shots, which is not what he usually does. However, showed biggest potential out of all other Partizan players. 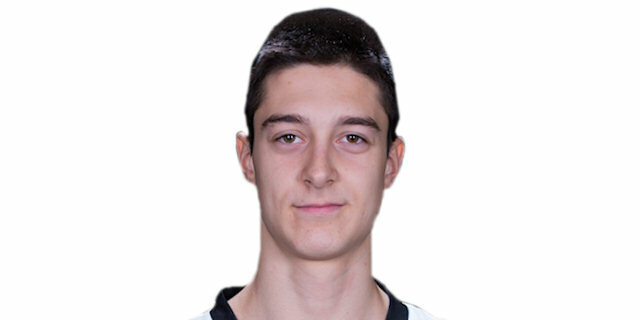 Underaged guard had important role again in Partizan’s backcourt. Ended tournament averaging 12.5ppg, 5.5rpg and 3apg. 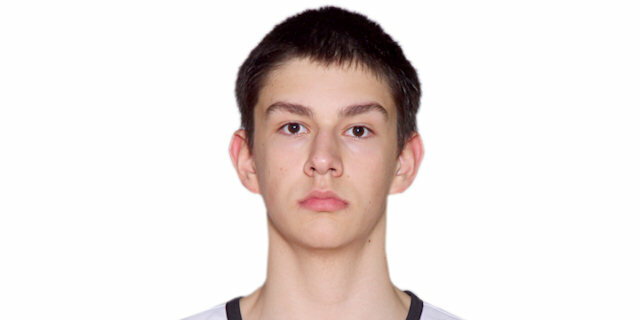 Stefanovic played both as a PG and SG on this tournament and showed good offensive awareness and all around potential. Has nice athletic potential, good vertical leap for a guard and high point of shot release. Played very well in first two games, but then slowed down in last two. Still struggles with the long range shot(21% 3p shot), which happened to be his biggest concern this season, despite having solid numbers on EC before season started. Solid mid range hitter, though, can score off the dribble and off the catch, too. Needs to work on shot selection, as well, likes to try way too tough shots. 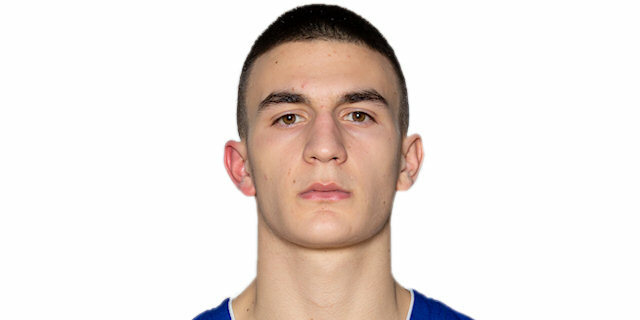 Stefanovic is a shifty and aggressive driver, can go both sides, not scared to attack inside, has good body control on finishing in contact and traffic. Can score in various ways in the paint. Improved PG skills and ball control, but still dribbles too much from time to time. Defensively good on ballhandlers, can press them fullcourt, long arms help him in stealing balls. Body is developing, has solid level of strength, but it can get better in the future. The player with the most experience from ANGT qualifiers on his team. This was his third ANGT and first one with Partizan team, after playing in 15/16 and 16/17 for Stella Azzurra. This year he had 20ppg, which made him 2nd best scorer of the tournament, 5.3rpg and 1.8apg. Pazin is the best, and probably the most versatile shooter of his generation. Can score off the catch, off the dribble, from off ball movements, cuts and screens. Has good footwork and nice shot mechanics. Started tournament better than expected, scoring 29pts vs Maccabi and almost led his team to a big win. Good sized guard played with a lot of confidence and did score some tough shots from long range and over defenders. Still, shot selection is far from good, takes irrational shots often. Was playing with ball in his hands more than he usually does and didn’t show that he can create shots for himself good enough. Has to work a lot on 1vs1 defense, gets exposed too easy. Although he had few solid moments in defense, coming from weak side for the help. Body is not getting better recently, which can be a concern, still tight body without real strength in upper part. 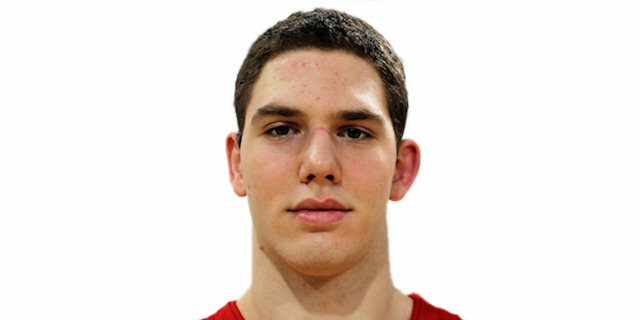 This was a first ANGT tournament for a Serbian center. Elite sized big from German team showed sights of improvement in few segments on this tournament. Averaged 5 points and 6 rebs in 15 min per game. Obviously his size is something unique and what helps him a lot in the game. Showed in the tournament he can score inside the paint with both hands which is his biggest asset right now. Good rebounder, as well. Limited when it comes to mobility but showed improvements in that part. Body good stronger, not as skinny as he used to be. Not really versatile, but has possibility to add mid range shot to his game. Underaged forward played on a loan for a host side Bayern Munich. Had very solid contribution for his team. Ended tournament with 9ppg and 3.3rpg for 20 mins on the court. 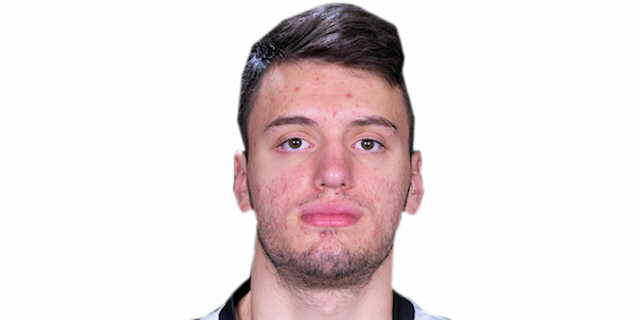 Skobalj is undersized forward, but subs with great level of strength he has. Limited offensively, lacks of versatility and creativity, specially when plays outside. Not a shooter, but has hit some wide open shots. Scores inside the paint mainly with stronger, right hand. Good team player, gives huge effort on both ends. Solid level of athleticism and mobility, runs the floor well and fills the gaps. Played in some moments as a SF, even though he is primarly a PF. Radojičić played only one game on the tournament. In 27 mins vs Bayern, scored 4 points, with bad shot percentages- 0/3 2p, 1/9 3p, but had 7 assists though.